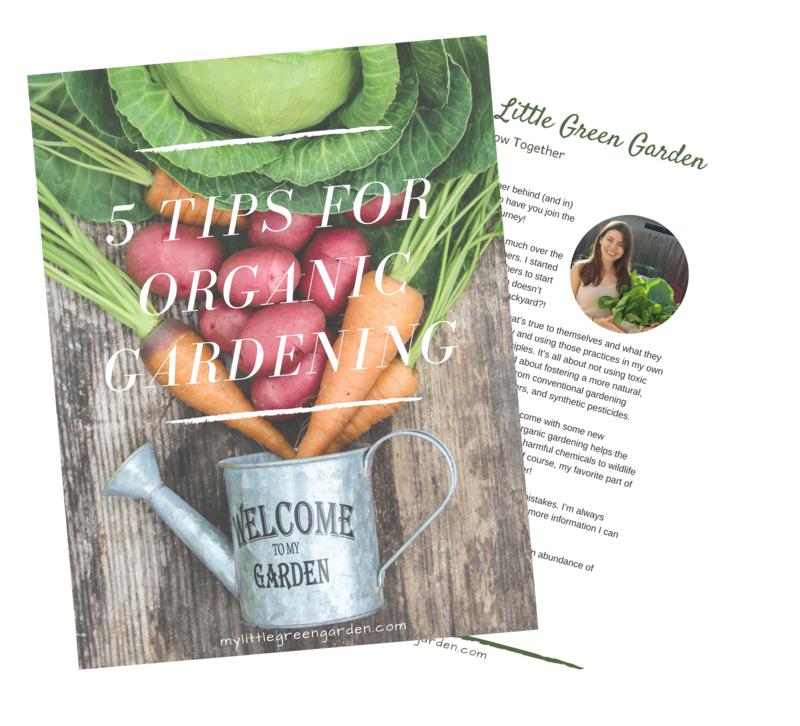 This free guide will help set the stage for you if you are new to organic gardening, or looking for some additional tips! Start growing organically with this free guide! In 2013 I decided to start my own organic backyard garden. There was a lot I didn't know and my plants ended up suffering at the beginning. My passion had a big learning curve! I spent a LOT of time researching and trying different things to see what worked. I learned what worked and what didn’t. And I’m still learning! This is a collection of tips that I wish I had when I first started, and I hope it helps you on your journey to a delicious and plentiful harvest. Check your email for your download. If you do not receive your email shortly, please check your spam folder. © Copyright 2018 My Little Green Garden, LLC. All rights reserved.